Free Shipping Included! 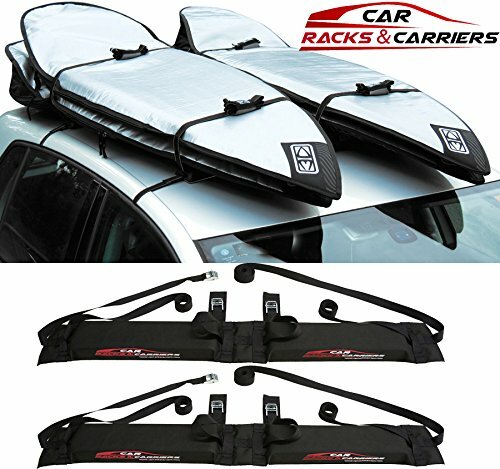 Car Rack & Carriers Double Surfboard Car Rooftop Rack, 2 Surfboard Soft Wrap Roof Racks Rax any Car, SUV, Minivan Van Sedan by Car Rack & Carriers at Our DXC. MPN: SBRRD. Hurry! Limited time offer. Offer valid only while supplies last. Special Soft padding and extremely sturdy to hold your bords will not slip or move around during transit. If you have any questions about this product by Car Rack & Carriers, contact us by completing and submitting the form below. If you are looking for a specif part number, please include it with your message.